Step2. Click Selection Options tab. Step3. Choose the Change button. Step4. To create a new one, select the Create button. Step5. The below screen appears. Step6. 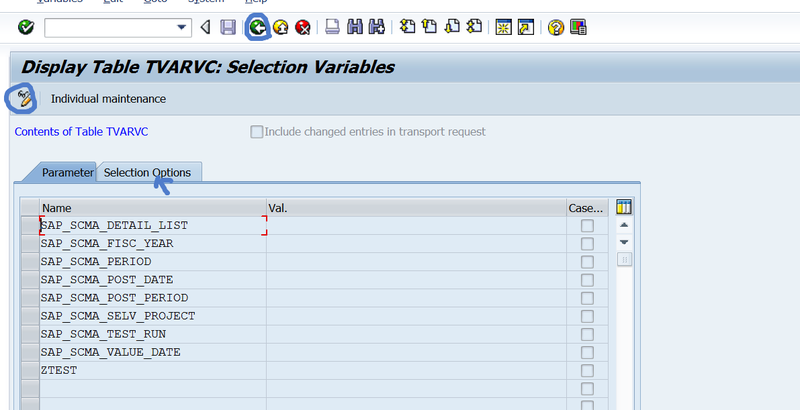 Provide a selection options name and then click on the arrow button. Step7. The below screen appears, to maintain the range select second tab. Step8. 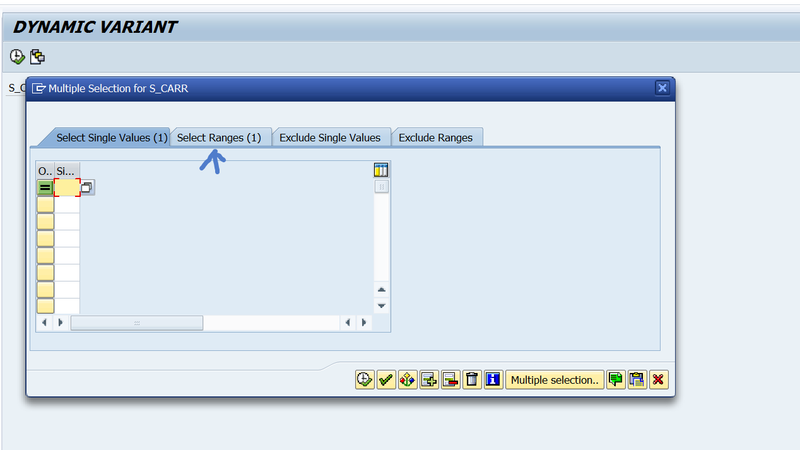 Provide the lower limit value and upper limit value and then F8 button. Step10. The below screen appears. Step11. 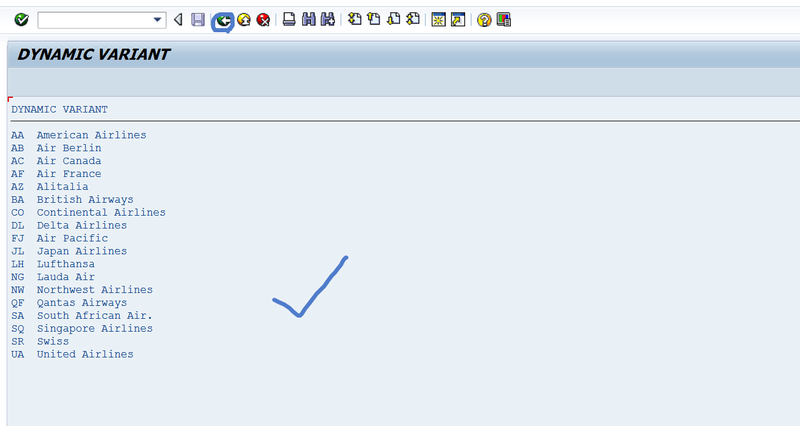 Create a report and create a select-option parameter. Execute it. Step12. If we don’t provide any value and execute it. It displays all the records. Step13. Here the report output. Go back. Step14. Now click on the Save button to create a variant. Step15. 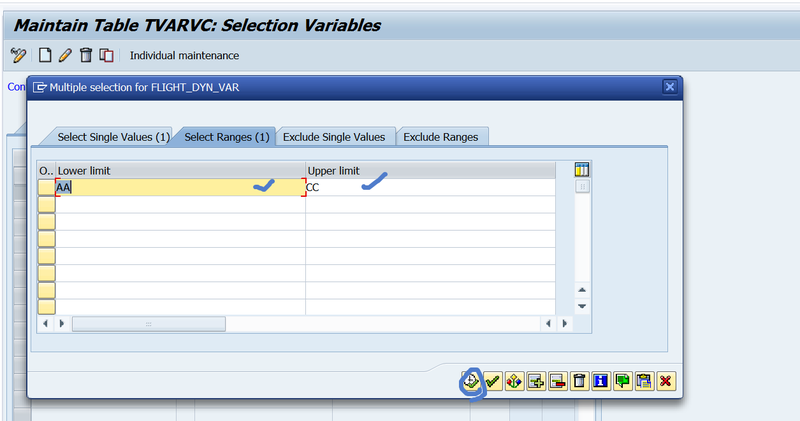 The below screen appears, Provide the variant name, description and press F4 button of the selection variable. Step16. 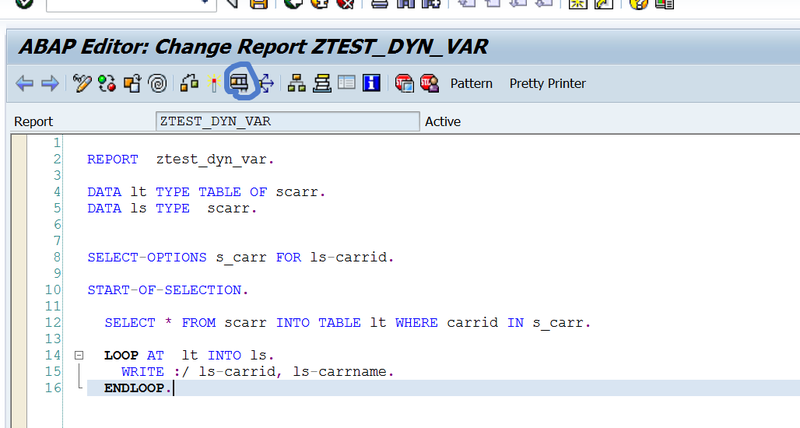 Select type of variable as T.
Step17. Click F4 against the name of the variable field. Step18. 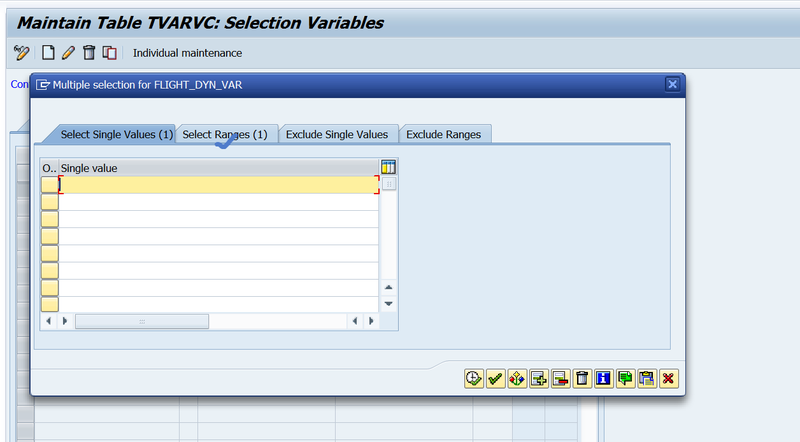 Select the pre created variable name. Step20. Click on the variant button. Step21. 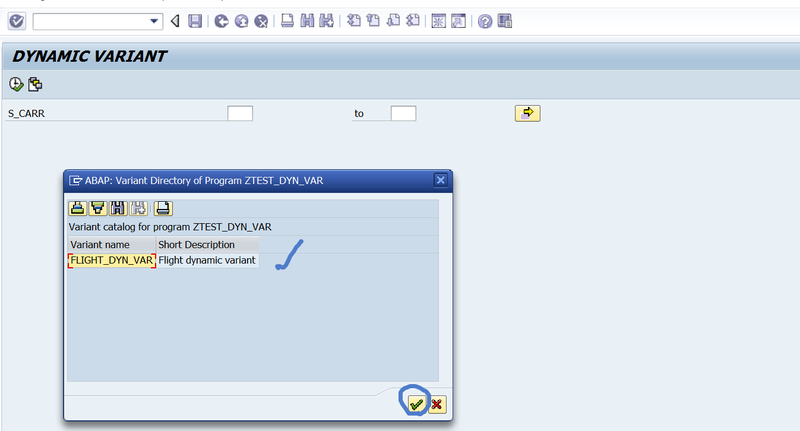 Select the newly created variant name. Step22. 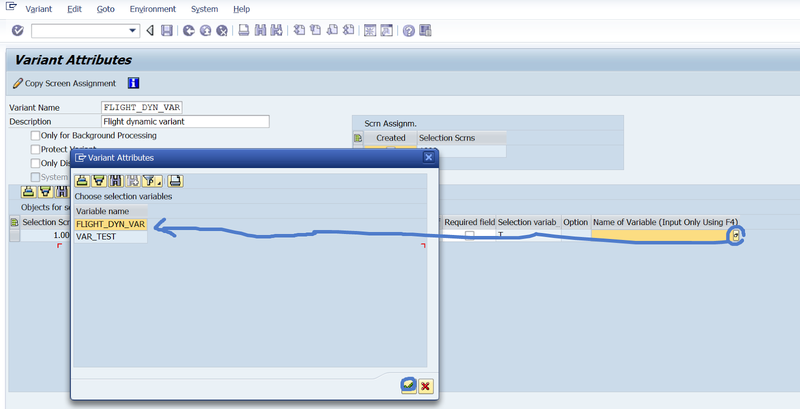 The values are mapped to the select-option field. To see the values click on Right Arrow. Step23. 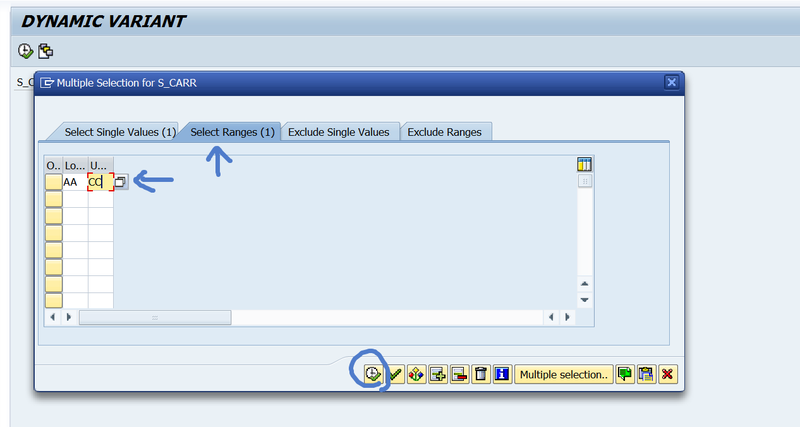 Choose select ranges tab. Step24. So here we have the values. Click on F8 button. Step26. So here we have the report output. Without going to the Tx- STVARV we can create variants. Step28. Click on save to create a variant. Step30. This will open the Tx- STVARV screen. 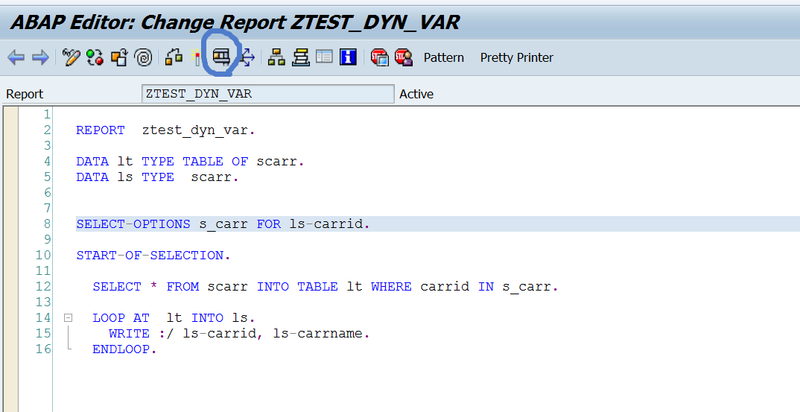 here we can maintain the names and values and can create a report variant using that STVARV value.